As noted by TechCrunch, paid streaming services like Apple Music and Spotify traditionally do not offer user-uploaded mixes and remixes due to licensing restrictions. Since the content is modified, record labels are unable to claim royalties and thus consider the practice a form of piracy. Enter Dubset. Using proprietary algorithms, the firm is able to identify songs within uploaded mix and remix content, attach those tracks to publishers and labels, and distribute royalties to rights holders. The company takes a cut off the top for its services. According to Dubset's website, the company is able to identify original master recordings with its unique MixSCAN audio fingerprinting technology, which scans uploads from DJs or other users. Resulting information is used to create a MixDNA track list and copyright structure to facilitate distribution management by rights holders, as well as collection of royalties from streaming music providers. The process works well enough that labels are allowing Dubset to distribute tunes through streaming services, TechCrunch reports. "Content owners have been very supportive. The publishing and label deals we have under license provides a large catalog to work with" said Stephen White, CEO of Dubset. "[This] allows some of the content that until now has only been on YouTube and SoundCloud to come to these great paid services where content owners will get paid!" 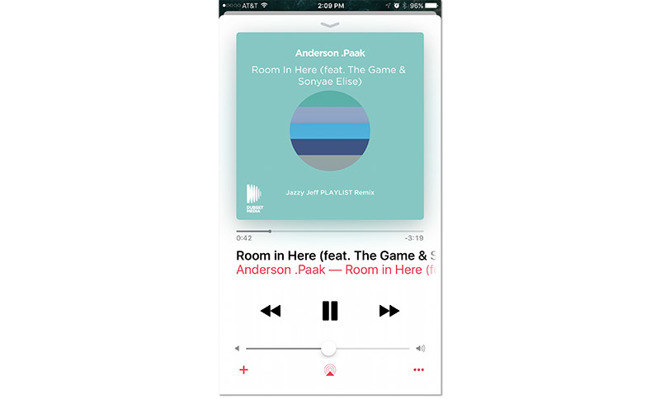 For now, Dubset offerings are limited to single-track remixes, one of the first being DJ Jazzy Jeff's remix of "Room in Here" by Anderson .Paak. The company is currently working to bring multi-song mixes and DJ mixsets to streaming providers.